The mount Kailash is located in the western Tibet and is visited by thousands every year from India. It has been a place associated with spiritual bliss and divinity and pilgrim go there to absolve all sins in life. The pilgrims take the holy dip in the Mansarovar Lake to experience a spiritual bliss and revelation that is not found anywhere else. According to the Hinduism, this is the place where Lord Shiva meditated along with wife Parvati. The registration for this year started on 20 February 2018. This year the Yatra is scheduled during the period 08 June to 8 September through two routes. The age limit is 18 to 70 years. The last date for registration is 23 March 2018. 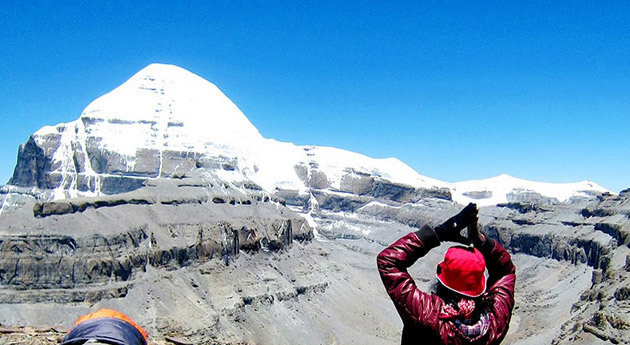 We are one of the authorized travel agents for the Kailash Mansarovar pilgrimage. We offer Kailash Mansarovar Yatra Packages that include Yatra to the Mansarovar by air, helicopter and fixed wing aircraft and by road. The pilgrimage also depends on the weather conditions on the way to the mount Kailash. The trip can be stopped at any place due to unpredictable weather. 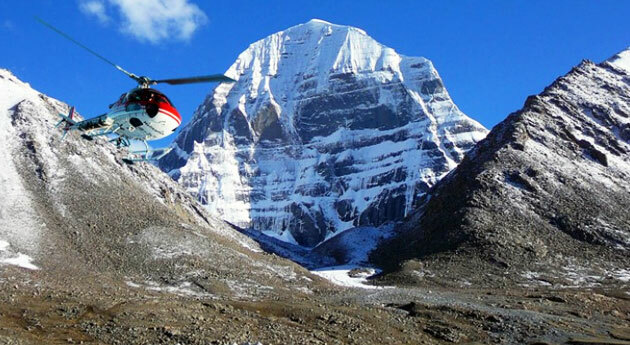 The by air tours start from Kathmandu and one can directly fly to Lhasa for the drive to the Kailash mount. The complete land tour is also available now after 4 years. The land tour takes 14/15 days and starts from Kathmandu, Nepal. The packages include the use of both air-conditioned and non-air conditioned buses. During the land tour, both hotel and camp accommodation is provided for the pilgrims. The oxygen cylinder is also kept for emergency uses as at the higher levels the pilgrim may face breathing difficulties. The dip in the Mansarovar Yatra Lake spiritual at the lake and circumambulation of the lake, circumambulation of the mouth Kailash and the local sightseeing in Kathmandu is also part of the tour. Another option is to start the tour from Lucknow and drive to the Nepalgunj, a town on the India Nepal border. Then fly to the next destination. The guides will be provided in both Nepal and Tibet to help the pilgrim. The group visa and any permit for entry into Tibet are obtained by us representative from the Chinese embassy in Nepal. The Yak can be arranged for the parikrama of the Mount Kailash. The details about the knowledge about the tour and requirements will be provided at the camp in Nepal before the departure to other places. The pilgrims must bring warm clothes and medicine with them.